Confidence is not often an abundant commodity when it comes to marketing. Which raises the question, how confident are America’s Marketing Managers? In an effort to measure the overall confidence of Marketing Managers across multiple industries, we conducted a survey in December of 2011. The results of the survey revealed the one key factor that drives Management’s Marketing Confidence. However, the majority of Marketing Managers indicate that they rely on other factors to gain confidence. In this whitepaper we’ll highlight key results from the survey and gain a deeper understanding of the factors that drive Management’s confidence in Marketing. Over the years, our work in market research and analytics has allowed us to measure hundreds of marketing campaigns. Though these campaigns have bridged multiple industries, the purpose of the research is the same…to help marketers gain confidence that their campaign will deliver results. Through this experience, it has become increasingly clear that, like consumers, confidence plays an important role for marketers as they determine both the level and mix of their marketing investments. 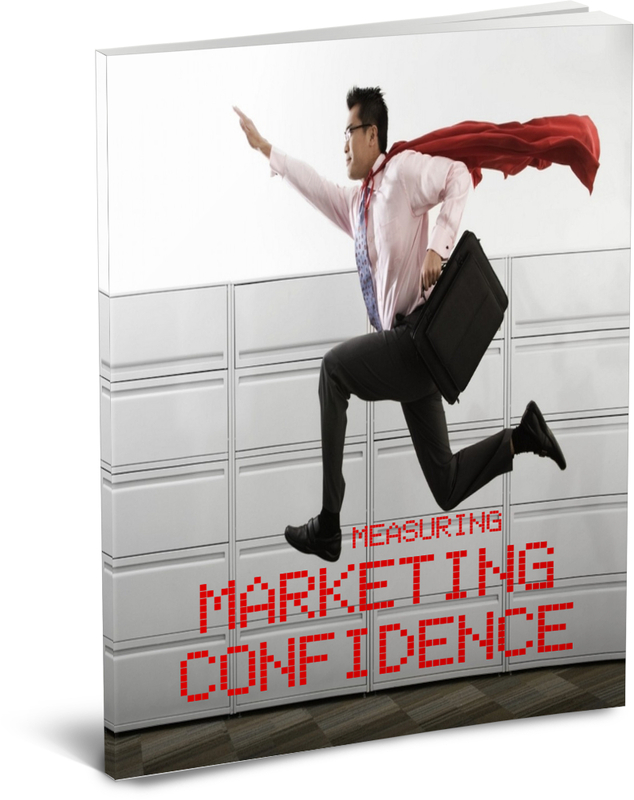 Don’t miss your chance to understand the driving factors behind marketing confidence. Simply fill out the form below and download your FREE copy of Measuring Marketing Confidence today!